Daikon radish is a hardy annual that resembles a carrot in shape. Having a cylindrical form, the Daikon radish has a bright white outer skin that has small ridges. 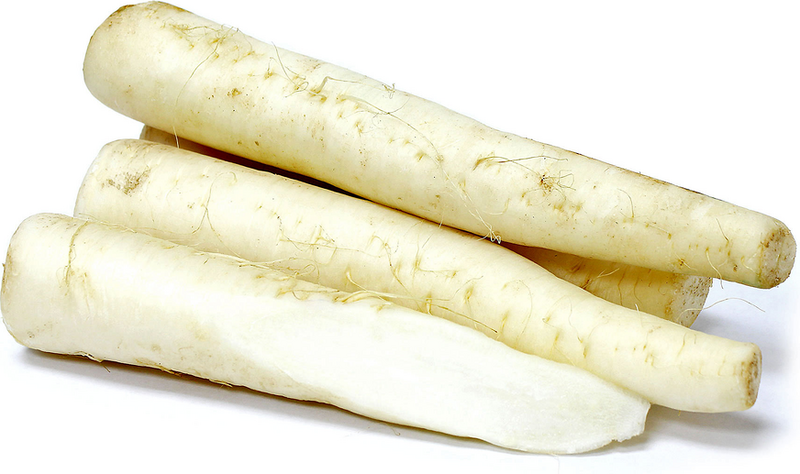 The inner flesh of the Daikon radish is extremely firm and offers a crisp spicy flavor. Daikon radish can be found growing year-round, but has a peak season in the spring.